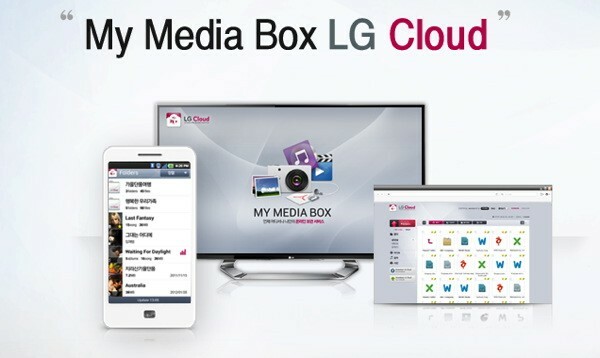 Four days before the purported launch of Samsung's cloud service, Korea's other technology giant has unveiled LG Cloud. The eponymous service offers 5GB free space as standard, while owners of LG's Smart TVs or smartphones will get 50GB free for six months. It'll push content between your devices, appropriately compressed for the medium, so high definition images on your TV will be slimmed down to save your phone's data cap. The free beta begins in South Korea and the US from May 1st, with a global rollout pencilled in for next year. Grab yourself a spoonful of Morton's and get ready for another supposed leak of a gadget. This time around, you're looking at what's said to be one of Research In Motion's BlackBerry 10 "Development Alpha" devices that are set to be handed out during next week's BlackBerry Jam -- just like the company promised a month ago. 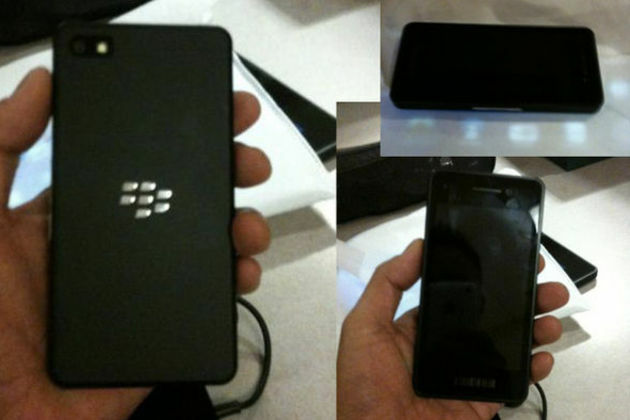 Images of the device first surfaced over at Crackberry's forums and, as the site points out, the touchscreen candy bar seems to share its design DNA with the PlayBook. Keeping in mind that it's likely to remain a testing device for devs, don't bank on it ever hitting store shelves. That said, we're now curious how pivotal a roll RIM's famous tactile keyboards will play on its next-generation phones if any. Windows 8 isn’t expected to drop until the end of 2012, but HP may already be preparing to shop around one tablet equipped with Microsoft’s upcoming OS. An internal slide cleverly titled “The Right Business Touch” acquired by Neowin reveals what appears to be a device quite clearly aimed at the enterprise crowd, touting security features that include HP ProtectTools and support for HP’s Computrance. 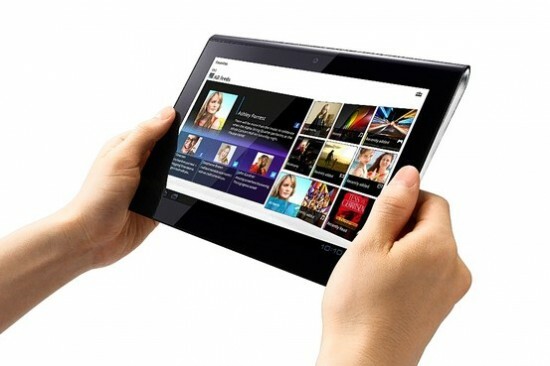 In addition, the alleged HP Slate 8 will integrate with Windows 8 Professional and come with both multi-touch and stylus support. Other information includes a 9.22mm frame (thinner than the iPad) and an 8-10 hour battery life. HP CEO Meg Whitman previously said back in February that the company “has big plans to get back into the tablet market,” with Windows 8 being HP’s preferred OS. Whitman also said the device would run on an x86 chip and, wouldn’t you know it, that’s exactly what Neowin claims the device above will have. While this is most likely just a render, if the information being reported turns out to be true then HP certainly does have big plans indeed. Back in the Gingerbread and even Froyo days, there was this original battle between top launchers that we followed ever so closely. For a lengthy period of time, you were either a LauncherPro guy or an ADW EX guy. Both were amazing launchers, but you couldn’t deny that each had their die-hard base of users. After a while, we saw new players enter the market such as GO Launcher and a few others, but for the most part, those two dominated the field. Now with Ice Cream Sandwich, we are seeing a similar battle play out in front of our eyes. 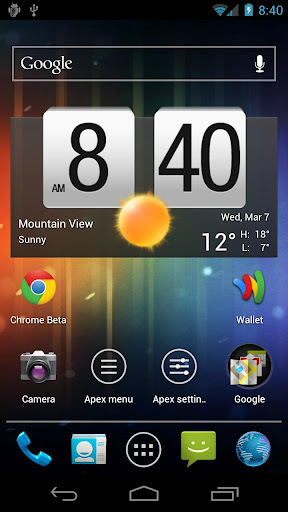 You are either a Nova Launcher user or an Apex Launcher user. For fans of Apex, today is a great day as the “Pro” version has been released to the Google Play Store. Almost 2 weeks ago, the newest beta of Apex was released and included many of the features that would become exclusive to the pro version. So if your beta expired (and it should have), your best chance to keep current is going to be through this new release. At $3.99, it’s not cheap, but it’s also not expensive. Devs who do this high quality of work need to be rewarded. 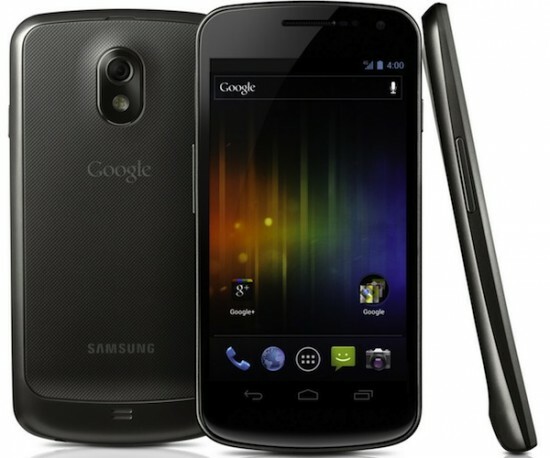 The Sprint Community forums have been receiving complaints of connectivity issues with the recently released Samsung Galaxy Nexus — aside from the fact that no 4G LTE network currently exists for the device to connect to, that is. Users are reporting that the Galaxy Nexus on Sprint is having a hard time acquiring a connection to the carrier’s 3G data services. Some have returned their device to be issued a replacement, but others have been turned away as a software fix is apparently in the works. A moderator on the forum says that Sprint and Samsung “are trying really hard to get the update released early next week,” but could not commit to an official date. It is just short of two years since Best Buy launched its mobile broadband service, Best Buy Connect. Apparently, Best Buy has decided to abruptly pull the plug on the service completely. New activations will cease effective immediately and the service will be shut down completely on June 1st. Obviously, all early terminations fees will be waived. WiMAX 4G customers will have the option to transition their service to CLEAR. Existing customers whose accounts are in good standing will receive a $125 or $150 gift card, depending on their service, by email on April 27th to help offset the cost of finding a new provider. Those with overdue accounts that address the balance will receive their gift cards on June 20th. First things first, let's tackle Ares 2. While just a bullet point on the roadmap, Ares 2 is the next generation of Palm's in-browser app builder, and it's now fully paired with Enyo 2 (whereas the original Ares was built for Mojo and Ares of the original variety). Ares 2, unlike its predecessor, is built off of Node.js (more on that later), which will enable developers to use it locally on their own machines or up in the cloud - all with a "pluggable, decentralized approach to file storage" to give developers even more flexibility. Ares 2 isn't yet complete - it's described as being "still in the early stages" - though that isn't stopping HP from turning public the GitHub for the project. But hey, you'll be able to easily build Enyo 2 apps that work across all web-compatible platforms, so that'll eventually be cool. So there you have it, April's Open webOS code commitments are here. Coming up in May… well, actually, there's nothing on the roadmap for May or June. Could be a quiet few months, or HP could surprise us and release some other components to open source early. We wouldn't mind that one byte. Our friends over at TMoNews have unearthed a roadmap with some tasty morsels of info about what's coming down the pipe from T-Mobile USA in the next few months. Of course, none of this is set in stone or even confirmed, so take it with a grain of salt. Apple in February acquired the San Francisco-based company Chomp, a startup that develops application search and discovery software. Apple went forward with the acquisition in an attempt to improve the application search and discovery features within its App Store — the company’s Genius recommendations are a little half-baked. The service was previously available for both Android and iOS, but a recent visit to Chomp’s website has revealed that you can no longer search for Android applications. The app has also been removed from Google’s Play marketplace. It is unclear what will become of Chomp’s earlier partnership with Verizon, which used the service to powering its own app store marketplace. Sony is bringing it’s first Android tablet into the Ice Cream Sandwich age, announcing via the company’s blog that Android 4.0 is now making its way to the Tablet S. Sticking with a stock ICS experience, Sony gives us a rundown of what we can expect in the video below. The clamshell Tablet P should also receive Ice Cream Sandwich, but now is not its time. If the idea of Android 4.0 on Sony’s tablet is intriguing, the Tablet S is being offered with a $50 instant rebate and free cradle through May 12th. The 16GB model starts at $349. Clearwire is preparing to upgrade its 2.5GHz WiMAX network to support a variant of LTE, TD-LTE, that it's co-developing with China Mobile and the broadband wholesaler has just announced that it'll kick off that upgrade in 31 "hot zones" where wireless service is most crunched. Most of those markets have yet to be announced, but it has teased five today: New York, Los Angeles, Chicago, San Francisco, and Seattle, all of which are expected to start going live in early 2013; "remaining markets" will come online by the middle of the year. Sprint, which owns a significant chunk of Clearwire, is underwriting a portion of the company's LTE upgrade costs and is expected to take advantage of the service once it's available. In the meantime, it's using both 1900MHz and freed 800MHz iDEN spectrum for its initial LTE deployment (which is using the more common FDD flavor shared by Verizon, AT&T, and others). The news comes as Clearwire has announced its Q1 2012 earnings which tell a mixed tale it wasn't long ago that the company nearly missed making interest payments on its debt, and it's got a long way to go to become a profitable organization. Revenue is up 36 percent year over year to $322.6 million from 11 million subscribers, up from 6.1 million a year prior; that's good, but revenue is actually down about $39 million from Q4 2011. 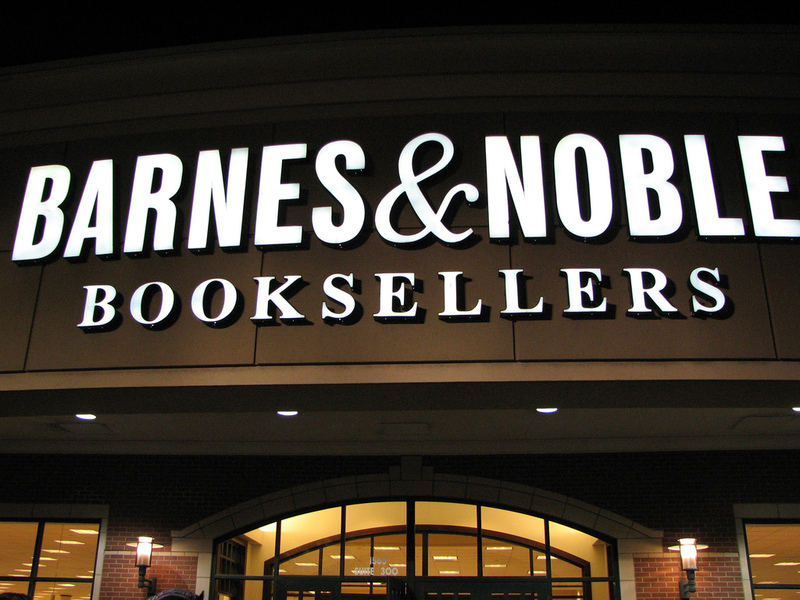 Overall, it chalked up an operating loss of some $422.9 million, slightly better than last quarter's $433.1 million. Importantly, cash on hand is on an upward trend: it's now at $1.433 billion between cash, cash equivalents, and investments, likely thanks in no small part to a capital infusion from Sprint. Opera Software announced the beta version of Opera 12 today, codenamed “Wahoo”. The company says that Opera 12 is “smarter and faster” than older versions, and introduces some new features. First, the team have added the ability to add themes to the browser. Opera will be offering a whole host of themes via its website, and the company says that they’re easy to create as well. Plug-ins are now hosted separately, so if they crash they won’t take the browser with it. It’s the same functionality that Chrome and Firefox have had for a while now, but it’s nice to see it make an appearance in Opera too. Opera also say that thanks to SSL and tab optimizations that the browser is faster than ever, and the team has added an API that can tap into your computer’s webcam. That gives developers something to play around with, and Opera has created some demos for them to test out the API, such as a Photo Booth. There are a few other minor additions too, like 64-bit browsers for Mac and Windows, plus support for the Do Not Track header, and HTML5 Drag and Drop support. The Opera 12 beta is available to go test right now from the Opera website. Ubuntu 12.04 LTS has landed today, offering enterprise users a secure and stable Linux operating system for their work environment. LTS stands for Long Term Support, with five years of guaranteed updates for the OS, as well as the option to purchase commercial support. The latest version of Ubuntu brings support for Microsoft’s Remote Desktop Protocol 7.1, plus desktop virtualization for Citrix and VMWare. That gives enterprise users flexibility for office productivity. They can use desktop applications remotely, use browser-based solutions such as Google Docs, or use the pre-installed LibreOffice which is compatible with Microsoft Office formats. Canonical believe Ubuntu makes a good choice for those faced with expensive Windows 7 upgrades. There’s also a new menu-based search option, tweaks to the login screen, but most importantly improved performance and power management. Ubuntu has suffered from draining batteries far too quickly in the past, and Canonical says they’re working to fix that with the newer versions of the OS. What about if you’re running Ubuntu 10.04? Canonical say there will be an easy migration to 12.04, and that the company is looking forward for users to experience the upgrade for themselves. If you’re eager to get downloading, head on over to the Ubuntu website where you should find a torrent waiting for you. Google sold its SketchUp 3D modelling platform to Trimble Navigation today for an undisclosed price. SketchUp is a popular application for creating quick 3D models through its intuitive interface for both beginners and professionals. It was purchased by Google back in 2006 and is available in a free version as well as a more advanced paid version. It is also used for 3D models within Google Earth. Trimble specializes in surveying, mapping, and marine navigation equipment and hopes to expand its field presence with SketchUp. The company will partner with Google to continue developing SketchUp’s 3D Warehouse, which is an online repository of 3D models created and shared by users. When Google purchased SketchUp back in 2006, it was just a tiny start-up. It now has millions of active users with over 30 million activations in just the last year. The acquisition by Trimble is expected to close later this spring and the company assures that the free version of the SketchUp software will continue to be available to users. Today Nintendo‘s next gaming console Wii U has been tipped to be running Android applications right out of the box. This situation is not unfounded, as Android apps have been integrated into other systems, sort of, in the past, but this time it could be much more simple than what we’ve seen before. Where before we’ve seen systems such as BlackBerry attempt to integrate Android by making the process to port apps over to their system appear relatively easy, this time Nintendo may be building Android into their system, for real, to work right alongside their own user interface and software. The Samsung Galaxy S III is easily the hottest upcoming Android device, and the leaks continue to flow out at an amazing pace. Part of me thinks all these leaks are controlled to keep generating buzz, but we keep sharing them and y’all keep eating them up. This week we saw a trio of leaks that provide several conflicting specs. Last night Samsung announced the 1.4 GHz Exynos 4 Quad, that is said to power the next Galaxy. We think there is a good chance that this will be the final processor found inside the Galaxy S III, but that could vary by region and carrier. Yesterday we saw a leaked benchmark result that said the Galaxy S III was using the Exynos 4212 processor. This chip features dual Cortex-A9 CPU cores running at 1.5 GHz. 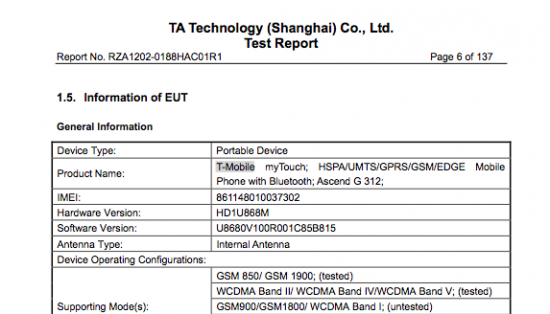 Another leaked service manual for the GT-i9300 (that we believe to be the Galaxy S III) said the device would use a 1.5 GHz quad-core CPU. The leaked benchmark said the device would feature a 4.7 inch display, while the leaked manual said it would be 4.8 inches, and other leaks have showed a 4.6 inch display. Camera specs have also been conflicted. One leak shows 8 megapixels and another shows 12 megapixels. Build scripts for the desktop version of Open webOS have managed to sneak out onto the Github code repository belonging to webOS Engineering team member Anupam Kaul. Before you get too excited, these scripts don't actually do anything yet, primarily because the majority of the source code for Open webOS hasn't yet been released. The actual code to run the webOS UI and many other underlying components are't expected to be released until July. Still, it is interesting to see these build scripts come out at this time, given that Open webOS is not yet released in full and is very much a work in progress. On the GitHub repository there are build scripts for db8, a component that manages certain types of application databases used throughout webOS and that was released in March, as well as build scripts for cjson, luna-service2, and pmloglib. Some of the components, namely luna-service2 which powers Node.js-based services, and pmloglib (which is responsible for on-device debugging logs), are webOS-specific components and are part of the Open webOS release plan. The remaining component, cjson, is a popular open source JSON library for C code required for many components of webOS. We chatted briefly with Kaul about the project and he confirmed that this is a personal project of his, and that though these scripts along with the Linux Standard Kernel would help it booting webOS onto a desktop, there's still a lot of work that will have to be done with as-of-yet unreleased components to make webOS cursor-friendly. Until then, the code on GitHub is simply waiting for the day to come where it might be pushed out to the larger Open webOS project. It's interesting to think back a year ago to Think Beyond, when HP first unveiled their plans to put webOS onto all of their computers by the end of this yar. My how times change. Although the practicality of using webOS on a computer is still debatable, we do look forward to the day when we can do just that. Until then, we have got no option but to sit and wait patiently. Last night, while covering the Apple Q2 results for iMore, I heard Tim Cook say something that I don't ever quite recall anyone from Apple ever saying before. "Our engineering teams work extremely hard to be efficient with data and differently than some others. And we believe as a result of this iPhone has far better data efficiently compared to other smartphone that are using sort of an app rich ecosystem. Finally, and this is most important, iPhone is the best smartphone on the planet to entice a customer who is currently using a traditional mobile phone to upgrade to a smartphone. This is by far the largest opportunity for Apple, for our carrier partners and its a great fantastic experience for customers. So its a win win win there"
Sure, he didn't actually say "BlackBerry" anywhere. But his wording was carefully chosen, as usual. He said Apple is more efficient than other "app rich" ecosystems, meaning Android. By saying this, he clearly recognizes BlackBerry is more efficient. But what surprised me even more was how he even acknowledged the importance of data efficiency at all. In some ways its nice to see Apple acknowledge the importance of something that RIM has been so good at for so long. But it's also clear that consumers don't really care that much about data efficiency. Looking for something a bit more solid than a third-party benchmark? We can do that. "Already in production the Exynos 4 Quad is scheduled to be adopted first into Samsung's next Galaxy smartphone that will officially be announced in May," the horse's mouth reveals. Samsung boasts that the new 32nm 1.4GHz quad-core processor flaunts twice the processing power over its predecessor, thanks to its High-K Metal Gate (HKMG) low-power technology. The net energy savings? About 20-percent. 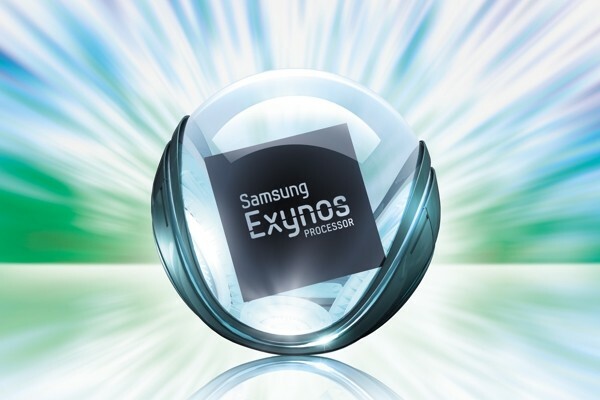 "The application processor is a crucial element in providing our customers with a PC-like experience on mobile devices," explains Hankil Yoon, Senior VP of Product Strategy Team at Samsung, "Samsung's next Galaxy device, which will be officially announced soon, offers uncompromised performance and ground breaking multitasking features, thanks to Exynos 4 Quad's powerful performance and efficient energy management technology." Sammy says it's shopping the new processor around to other handset manufacturers (like Meizu), noting that the Exynos 4 Quad is pin-to-pin compatible with the Exynos 4 Dual (the brains behind the Galaxy S II and Note), which gives designers the ability to update product designs with minimal costs. Sprint said today during a call with reporters that it intends to offer its WiMax 4G network to its Boost Mobile and Virgin Mobile USA pre-paid businesses. Sprint CEO Dan Hesse said that the service would launch for Boost and Virgin later this year, though he didn't provide specific details regarding timing nor the handsets involved. Sprint has a number of WiMax handsets still in service while it transitions to LTE 4G. Sprint has already made several LTE-capable handsets for sale, though its LTE network isn't expected to launch until mid-year. Sprint mentioned earlier this year that it will no longer sell WiMax handsets to its own customers. Angry Birds Space is available now for $2.99 in BlackBerry App World. Head to the link below to download. Google on Tuesday unveiled its new “Google Drive” cloud storage solution, taking direct aim at Microsoft’s SkyDrive, Dropbox and other similar services. The new offering includes 5GB of free cloud-based storage and allows users to store, collaborate on, and share documents and other files. At the same time as its new Google Drive service was rolling out across the Web, Google also quietly gave Gmail users a capacity boost of more than 35% according to reports. Gmail launched in 2004 with 1GB of free storage and that figure has been increasing steadily to just over 7GB as of earlier this week. On Tuesday, Gmail’s free storage climbed to 10GB according to a report from Engadget. We haven’t seen the storage boost hit our inboxes yet, but a number of users reportedly have. Google has not formally announced the update. Google Drive is no longer a secret, as the Google Drive Android app is now live in the Play Store and the description gives us a great idea of what to expect. As expected, Google Drive will be a Dropbox and Box competitor, as you’ll get some free cloud storage space to store your files. The official announcement went live a few seconds ago and it offers 5 GB of storage for free. You can also buy additional storage for a fee and this includes 100 GB for $4.99 a month, dramatically cheaper than the competition. The app’s description also gives us some solid details. This is an evolution of Google Docs, so you can collaborate on the files in your Google Drive account. You can also open up multiple file types (including video) in a browser. Naturally, you’ll also have strong search capabilities including the ability to search through scanned documents with OCR technology. * Keep everything. Share anything. 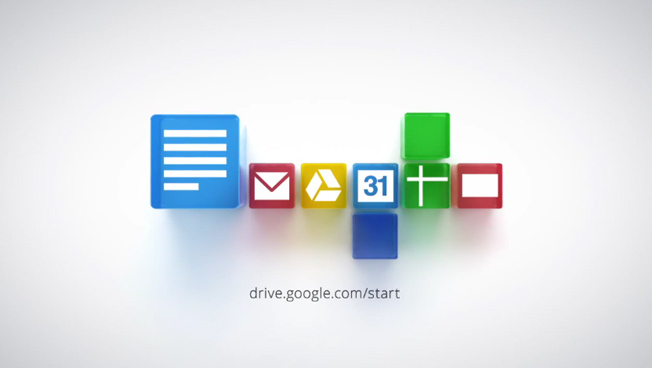 The Google Drive service is live at drive.google.com and you can download the Android app here. Google also says that an iPhone and iPad version are coming soon. It looks like the 6.12.181 upgrade is now making its way out to customers. The 6.12.181 update includes tweaks for improved device stability and enhancements to help extend battery life, among a number of other changes, so this definitely looks like something that RAZR and RAZR MAXX owners will want to check out. If the update has yet to make its way to your neck of the woods and you just can't wait for it any longer, you can check for it manually by heading into Menu > Settings > About phone > System updates. Facebook took to its own Facebook page for Windows Phone to announce a forthcoming update to its Windows Phone app. The revised app (v2.5) will include significant changes, such as threaded messaging, the ability to tag friends, the ability to delete posts and comments, active links in posts, an overhauled photo comment tool, and the ability to "Like" comments. 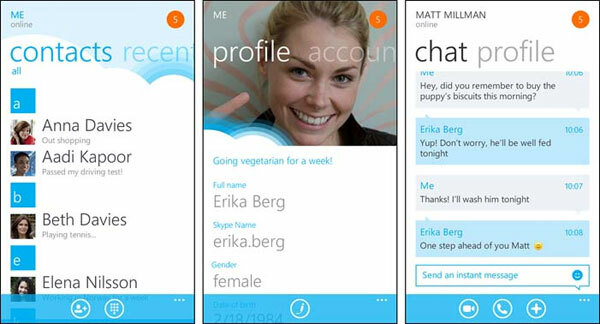 Facebook said that the app is in the final stages of testing and will be delivered to Windows Phone handsets soon. 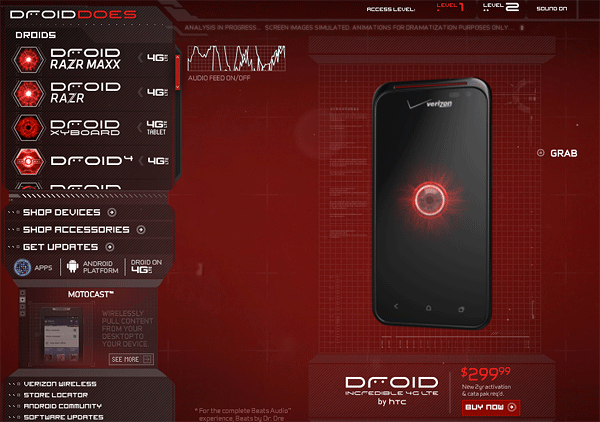 Verizon Wireless today revealed the HTC Droid Incredible 4G through its Droid Does web site. 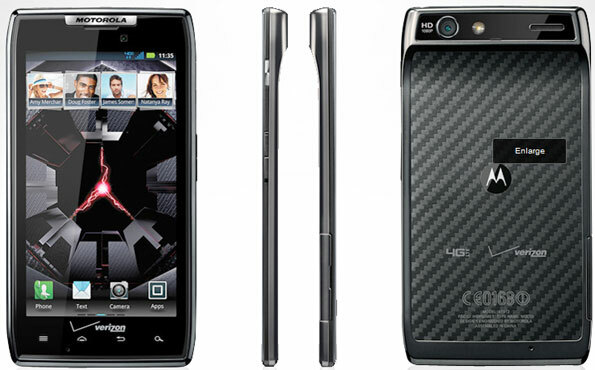 As the name implies, the Incredible 4G is an Android 4.0 smartphone that supports Verizon's LTE 4G network. The Incredible 4G runs HTC's Sense 4.0 user interface, and is powered by a dual-core 1.2GHz processor with 1GB of RAM. It features a 4-inch qHD display, 8-megapixel main camera and VGA user-facing camera, Beats Audio, mobile hotspot for up to 10 devices, support for 32GB microSD cards. The HTC Droid Incredible 4G costs $299.99, but availability was not immediately announced by Verizon. Skype's fledgling Windows Phone app broke out of beta today, adding contact searching and landline calling to it's VOIP repertoire. The update comes just shy of two months of the Beta's introduction in February, and boasts a handful of minor improvements that should keep your calls connected. 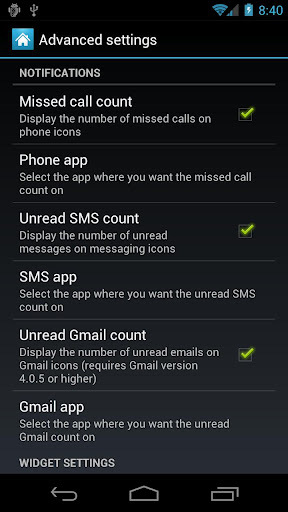 You'll still be making those calls yourself, however, as the full version doesn't yet have support for receiving calls in the background -- if the app isn't running, your phone isn't ringing. Hit the source link below to update. Samsung's latest marketing ploy kicked off with a string of nonsense that could just as easily have come from the Sunday morning jumble: "Destination: tgeltaayehxnx," declared the Samsung Mobile Twitter account. Anagram wizards will read that as, "the next Galaxy," and wouldn't you know it, it's also the URL for a auspicious countdown clock. Sammy promises to let visitors take "the next step" in about 17 hours and counting. Bonafide internet sleuths can find an extra carrot strung up in the site's source, reading, "discover how Samsung is about to challenge the way you view the Galaxy once more." 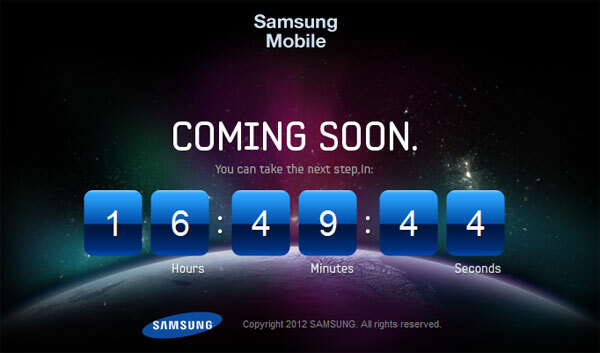 Is Samsung about to break its own May 3rd unveiling? We'll let you know in 16 hours and change. Last year HP rolled out a new version of Maps for webOS devices that was powered by Microsoft's Bing. A homebrew developer named Jan Herman didn't love the change — nor did he find the languishing official Google Maps app to his liking — so he rolled his own, and it looks like it may be better than either of the other two offerings. webOS Nationreports that Herman's app, simply titled Google Maps, features multiple viewing options, directions, live search suggestions, current traffic conditions, and even Google Maps Street View. It's actually Herman's first webOS app, built initially for his own Pre Plus, but in the weeks since debuting an early version he has been iterating at a rapid pace, adding a number of new features and ensuring compatibility with all devices running webOS 1.4.5 or higher. There are a handful of known issues, particularly on the Pre3, and Herman still has a long list of features he plans to add to the app. At the rate he seems to be going, however, both should be taken care of sooner rather than later. If you're a webOS user and would like to try his handiwork out for yourself, the app is available for download now.